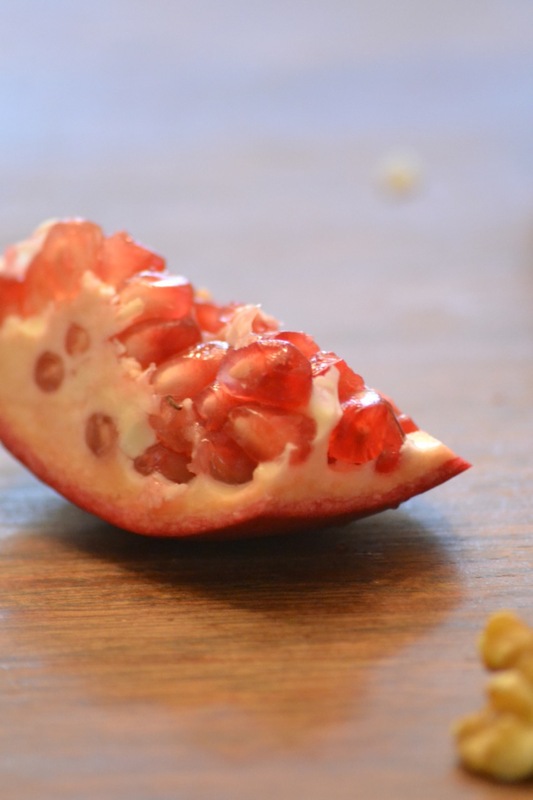 Despite the challenge of preparing this fruit, I love the flavor and the aesthetic beauty of those jewel-like seeds especially when paired with one of my favorite autumn fruits, the Fuyu persimmon. Chunks of sweet persimmon are the ideal complement to tart pomegranate seeds and the two together create a truly stunning salad. With toasted walnuts adding crunch and a simple honey-sherry vinaigrette, this is a show-stopping first course and a refreshing way to begin a feast. 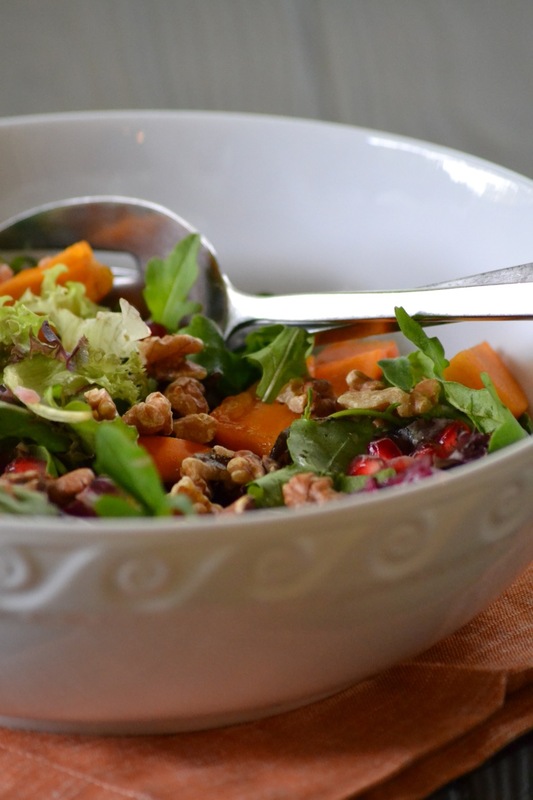 Use Fuyu persimmons for this salad. 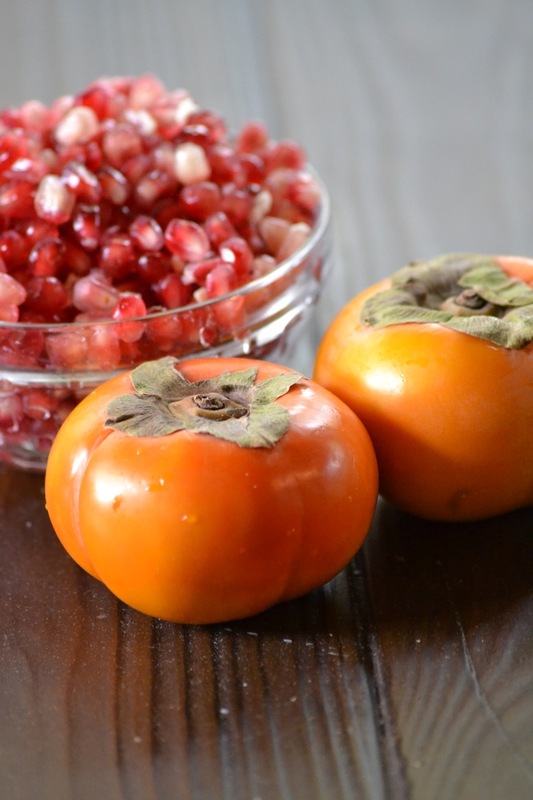 Available from October through February, Fuyu persimmons are orange in color and have a firm texture. 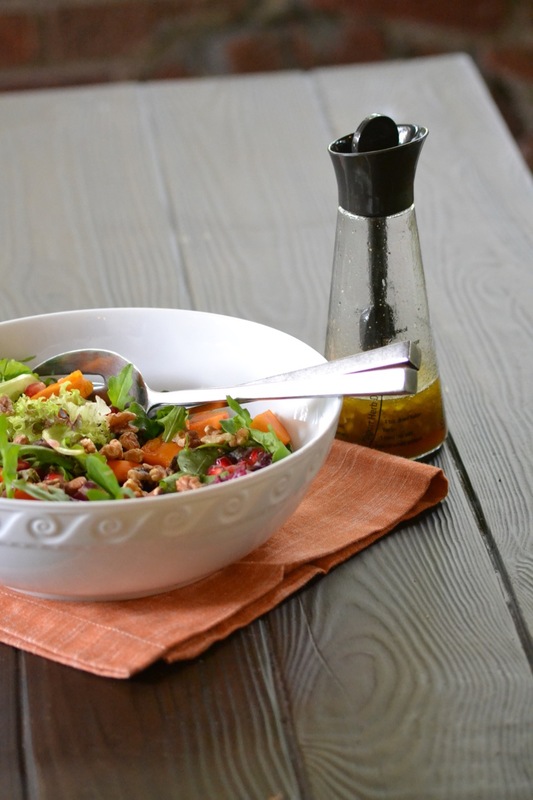 To make the vinaigrette, whisk the olive oil, vinegar, shallot and honey together in a small bowl. Season to taste with salt and freshly ground black pepper. Place the mixed greens in a large bowl. Pour ½ of the dressing over the greens and toss to coat. Add more dressing if needed. 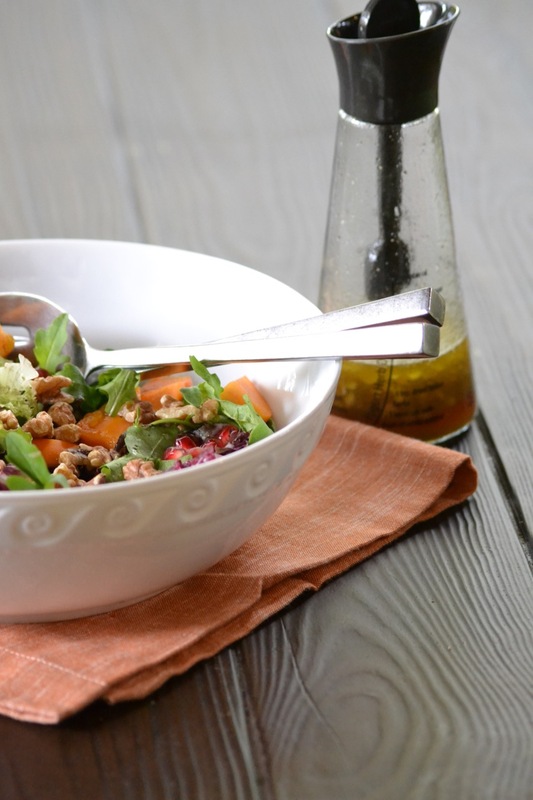 Divide the greens between 4 plates and top each with persimmon wedges, pomegranate seeds, and toasted walnuts. Serve immediately.